Migori Governor Okoth Obado has now come out openly to speak his mind on the on-going political realignments in Luo Nyanza more so in the South Nyanza region where a new political wind known as Kalausi is blowing. This was immediately after the Supreme Court reinstated him as the governor of Migori County. A seven-bench judges unanimously ruled that in nullifying Mr Obado’s election, the Court of Appeal exceeded its mandate by considering new evidence not presented before the High Court. 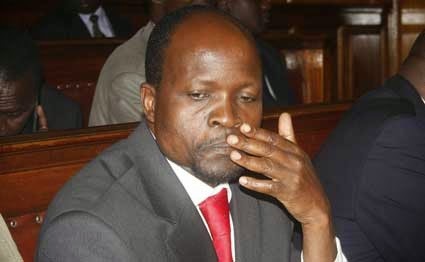 Judges Willy Mutunga, Kalpana Rawal, Philip Tunoi, Jackton Ojwang, Mohammed Ibrahim, Smokin Wanjala and Njoki Ndung’u reinstated the electoral commission’s declaration of March 4, that Mr Obado was the validly elected. Immediately after the ruling, celebrations rocked Migori as Obado’s supporters swarmed the streets Rongo, Awendo, Uriri, Isebania, Migori and Kehancha towns to celebrate the victory. They rode in vehicles and motorcycles, causing snarl-ups. But it was sad moment for Prof Edward Oyugi who reluctantly said he accepted the outcome because there was no other avenue for appeal. Obado has now said that he is ready to serve the people of Migori irrespective of their political affiliation. On the new Kalausi Party which is yet to be registered and which sources say has the blessings of ODM rebel MP Dalmas Otieno and other Luo MPs and politicians from South Nyanza region, Obado has been vocal about having an alternative party in Luo Nyanza. At one time he went public about it and asked Luos to join his party PDP which is a Cord affiliate. One thing ODM leaders must accept is that Luos truly need an alternative party especially during party nominations. Since the first multi-party elections, there have never been free and fair nominations in Luo Nyanza. It is against such fears that PDP is offering an alternative for those who believe in democracy to use it for the 2017 elections.